We know that Jeep is already releasing its own Hellcat-powered Grand Cherokee, the Trackhawk. 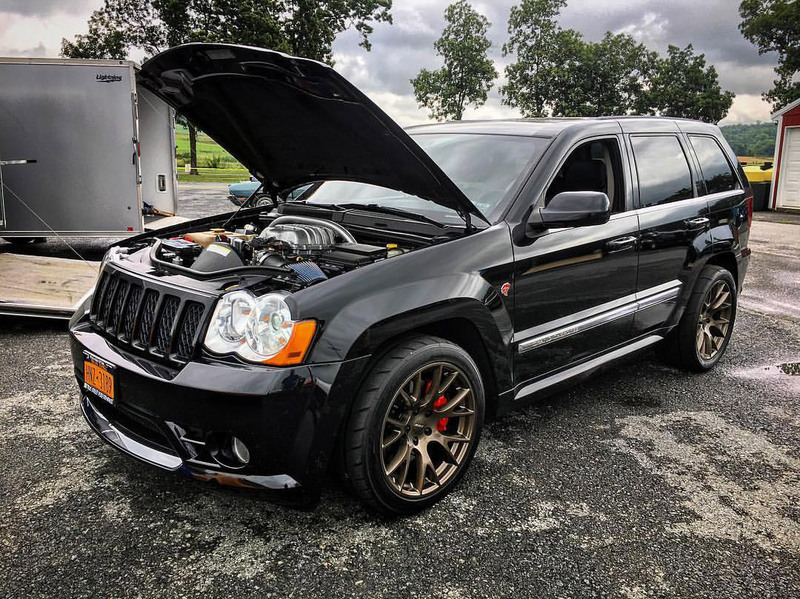 But the guys at True Street Performance couldn’t be bothered to wait for the official SUV, and decided to build their own, transforming a stock Grand Cherokee and into something awesome that can decimate the quarter mile. The donor Jeep received the SRT-powered heart out of a Hellcat, and while the 707 hp from the stock engine might seem enough, they wanted more. The result of some custom tuning is an output of 790 hp and 739 lb-ft. of torque. The Jeep also has some custom suspension work. The suspension mods combined with the hopped up engine and a Paramount Performance NAG1 transmission allowed the 4×4 to spin all four wheels at launch on its way to a 10.5 second quarter mile run at 132 mph. I wonder if Jeep’s official Trackhawk will rip off 10s in the quarter mile. The official name for this custom Jeep is the “HellHaWK”, which is a hat tip to the 2006-2010 Grand Cherokee being the WK1 generation.